Mumbai: Thirteen years ago, Vasant Laljibhai Solanki, a quiet and diligent police inspector with the Gujarat state police, was handed charge of the investigation into the encounter killings of Sohrabuddin Shaikh, his wife Kauser Bi and associate Tulsi Prajapati. After a detailed investigation – the kind rarely seen in police departments anywhere in India when a fake encounter is alleged – he fearlessly concluded that the encounters were fake and named the senior police officers who were responsible for the extra-judicial killings. Apart from nailing several police officers for their involvement in the killings, Solanki’s efforts opened a can of worms that eventually saw the indictment of Amit Shah, now BJP president, for his alleged involvement in the conspiracy. As the murder case, which was subsequently taken over by the Central Bureau of Investigation, started collapsing after May 2014 in the face of the CBI’s own lack of interest and witnesses turning hostile, Solanki has stood his ground. This despite the acute threats and pressure that he claims he faced both from the police department and the ruling Bharatiya Janata Party. In an exclusive interview to The Wire as he awaits his turn to depose before the special CBI court in Mumbai that is conducting the criminal trial in the case, Solanki says the state has tried every trick in the book to ensure he stays away from the court. The most recent attempt is the sudden withdrawal of security – originally provided to him nine years ago on the Supreme Court’s direction – by the state government. Solanki, who is scheduled to depose before the court on September 21, told The Wire that he can’t be present before the court until his security is restored. “I was provided security for a reason. If a sitting judge can die suddenly, I am just an inconsequential retired police inspector. The government and the police can go to any extent to ensure everyone accused in the case gets a clean chit. They can kill too,” he said, referring to the unanswered questions surrounding the sudden death of judge Brijgopal Harkishan Loya’s in Nagpur on December 1, 2014 Loya’s security had also been withdrawn shortly before his death. In his first proper interview to the media since he first was assigned the Sohrabuddin case a decade ago, Solanki told The Wire that two constables – armed with automatic rifles – had been with him every day since 2009. But on July 18, 2018, the security officials mysteriously stopped coming. “I had round-the-clock security. This was provided on the directions by the Supreme Court in 2009, the same year, I retired from the police service. On July 18 this year, the security officials stopped coming to my place. No reasons were given for this sudden decision by the state government,” Solanki says. Since then, Solanki has written at least eight letters, including to the state police department, the Supreme Court and the Gujarat high court and the special CBI court conducting the trial, to no avail. “Feeling concerned about me and my family’s security, I had written to all these departments and hoped someone would intervene. Instead, each of them maintained a radio silence. And two months later on September 6, I was issued a summons from the special CBI court presided by judge S.J. Sharma asking me to be present before the court to depose on September 21. It was clear why my security was suddenly pulled out,” he asserts. Solanki further claims the state police pulled out his security only to “discourage” him from deposing before the court. Solanki wrote letters drafted in Gujarati on July 20 to the director general of police (DGP) Gujarat, DIGP- CID Gujarat, DIGP- CID IB, home secretary – home department of the Gujarat state government, the Supreme Court of India, the Gujarat high court, DGP- CBI and special CBI judge Sharma. In these letters, which have been accessed by The Wire and confirmed from different departments where they were sent, Solanki has narrated the chain of event, his involvement in the investigation and the perceived threat to him and his wife’s life. In his letter, he claims, “I fear that I and my wife could be hurt in a mob attack. This is a high-profile case and I am an important witness in the case. Pulling out security right when the case is on trial and I am expected to depose before the court has disturbed me,” he writes. Solanki, as one of the first and the most trusted officers assigned the investigation into Sohrabuddin’s encounter in 2005, is also one of the most crucial witness in the murder trial which has seen several low points until now. Just going by the total number of hostile witnesses in the case – around 93 out of the 180 witnesses examined so far – it has slowly become apparent that proving the CBI’s charges against the remaining accused is not going to be an easy task. Besides, the prime accused including Amit Shah (who was Gujarat MoS (home) at the time of the crime), and several IPS officers like former Gujarat ATS chief D.G. 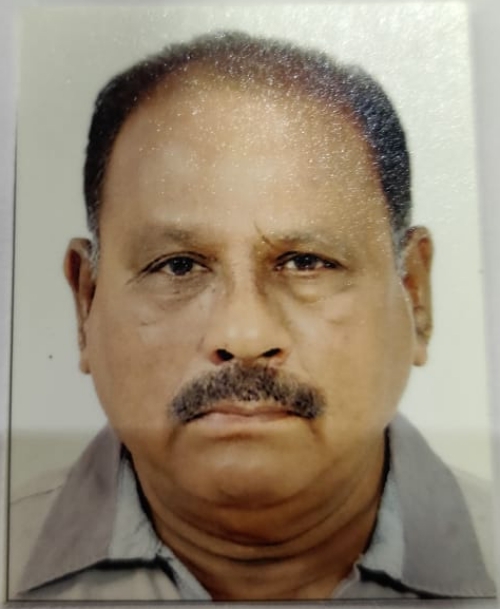 Vanzara, Dinesh M.N. and Rajkumar Pandiyan have already been discharged from the case. Other police officers like N K Amin, Gujarat-cadre IPS officer Vipul Aggarwal, and Rajasthan Police’s Dinesh M N and Dalpat Singh Rathod were also discharged by the Bombay High Court early this month. This means that only 22 out of the 38 accused originally named by the CBI in its chargesheet are still facing trial. The 22 include inspectors, assistant inspectors, sub-inspectors and constables from Rajasthan, Gujarat and Andhra Pradesh. The trial in the case began in November last year and has since seen several twists and turns, with even the Sohrabuddin’s brother Nayamuddin turning hostile in the case. Two other brothers – Rubabuddin Shaikh, the original complainant in the case and Shahnawazuddin Shaikh – have not turned up before the court for their deposition despite having received the summons. Although just a police inspector when he was inducted in the core team to investigate the case under the supervision of IPS officer Geeta Johri, Solanki was among the most highly-rated investigators in the department. His rank at the time was inspector-general. Solanki told The Wire that as a part of the investigation, he travelled across five states – Andhra Pradesh, Maharashtra, Gujarat, Rajasthan and Madhya Pradesh – and “had gathered damning evidence directly implicating Vanzara and party”. “The first set of investigations were done without much political interruption. We had named the crucial accused in our first round of investigation. Johri madam blindly trusted me then,” he recalls, but then things changed. He alleges that Johri was one of the first officers who was allegedly approached in November 2006 by Amit Shah and asked to go easy on officers like Vanzara and Pandian. “Things changed after that. The officer who blindly trusted me and would attend my phone calls even when she was midst of some important work was no more available. Johri madam was the first among the police officers to be bought out,” he alleged. In the first leg of investigation, which Solanki was a crucial part of, 15 suspects were interrogated and of them 13 were named as accused. 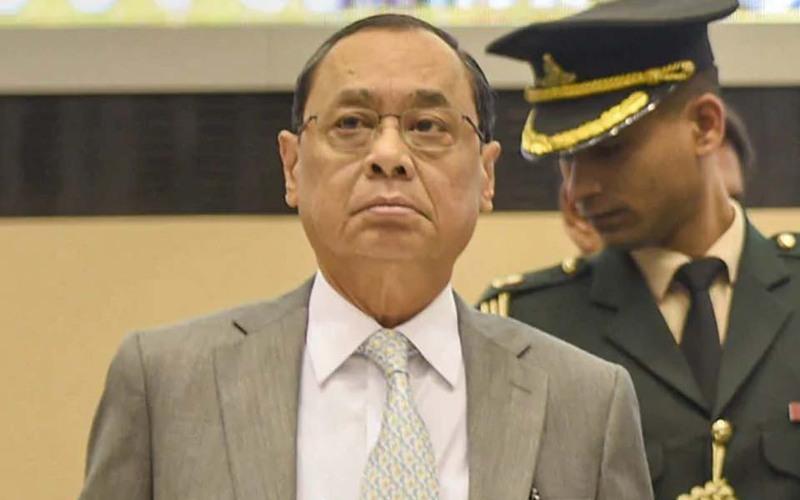 However, it is on Solanki’s statement and the other chain of evidence that had emerged by 2011, that the CBI’s chief investigating officer Sandeep Tamgadge, a 2001 batch IPS office from the Nagaland cadre, had named Shah as an accused in the case. “I was on the case until 2009. I was to retire from the service in 2007 but was given two extensions, of one year each and asked to continue with the investigation. We had done the initial investigation and our biggest achievement was to get the IPS officers who were at the helm of the affair implicated in the case. Shah’s name, although not mentioned in my initial investigation, [came up] only because of my statement to the CBI under the leadership of Tamgadge sir. He was the only officer I trusted and I knew he was a non-corrupt officer who was keen in getting to the depth of the matter,” Solanki claims. From 2011 and 2014, Tamgadge held multiple charges in the CBI and the most important among them was that of superintendent of police of the Special Crime Branch of CBI, Mumbai. During his stint with the CBI, he investigated the two cases involving the killings of Sohrabuddin, his wife Kauser Bi and a key witness, Tulsiram Prajapati. In the course of his investigation, it surfaced that Kauser Bi was raped before she was killed and her body was burnt and disposed of. Tamgadge was later also handed over the investigation in the alleged fake encounter killing in 2004 of college girl Ishrat Jahan. 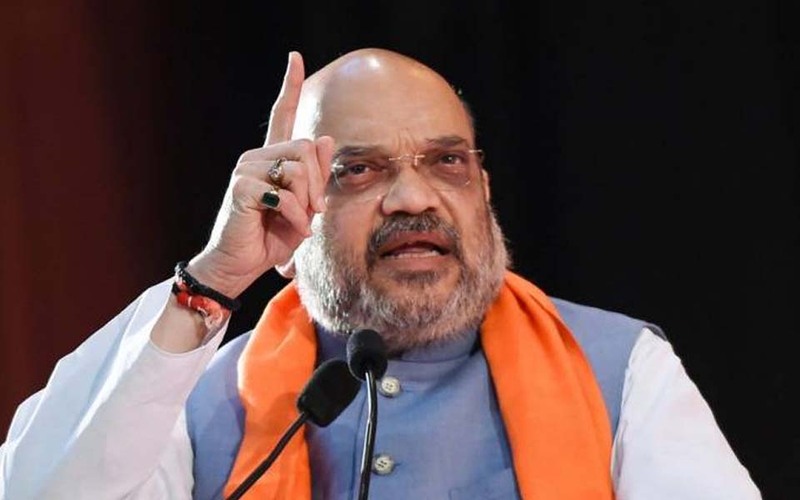 Tamgadge was the first officer to have investigated Shah twice in connection with his alleged role in these killings – once in January 2012 in connection with Prajapati murder case and the next time in October 2013 in connection with Ishrat Jahan’s case. He was removed by CBI chief Ranjit Sinha from the investigation in April 2014, a month before BJP swept the general elections and Narendra Modi became prime minister. Solanki, born in a Dalit family in Ahmedabad, studied at a Sainik school at Jamnagar. He says he does not believe in any “Ram or Rahim”. “My only god is Dr. Babasaheb Ambedkar. I believe in his principles and the constitution that he gave us,” he told The Wire. His children – three daughters and a son – now live in the United States and Canada. Solanki says, “If I wanted, I could have quietly struck a deal with the accused, taken money and shifted with my children. No one would have ever come to know about it. But how could I have faced myself?” he asks. His children too, he says, supported him right from the first day of the investigation and told him come what may, he won’t ever accept a bribe. “My wife Udayprabha is anyway a “Jhansi ki Rani (Queen of Jhansi)”. But my children were even more courageous and it is only my family that continues to give me the strength to stay firm on my decision to fight the system,” he says. Solanki, who was due for promotion in 2004, claims he was denied his due after he refused to accept the demands of senior officials. “The recommendation for my promotion was sent in a seal cover to the home department and since then has been lying with the department. It is an irony that an officer who faced every challenge to ensure justice was denied what was due to him, but the murderers were given promotions even after they were arrested and had to face the trial,” he said.